Hidalgo Moya improved version of the Imperial typewriter, the Imperial B, appeared in 1915, four years after the launch of the basic model (sie Imperial A). 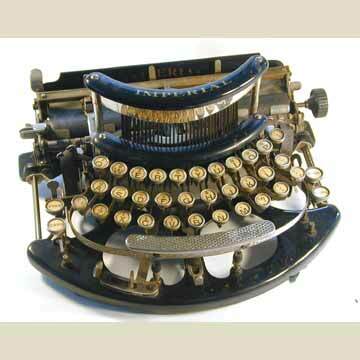 The most striking aspect of the Imperial B is the curved keyboard, that comes off completely, together with the type. Within seconds the typeface of the machine could be replaced. Contrary to the Imperial A, the Imperial B had two shift keys and a backspace. The Imperial B appeared with a number of small variations, like an aluminium name shield over the type. The machine was built and marketed in different countries under different names, including Lloyd and Typo. In 1912, the Berlin-based Fabig & Barschel company marketed the Faktotum, based on the Imperial A. 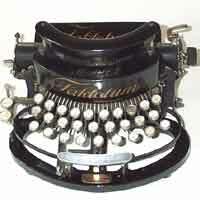 Nine years later, Fabit would use the basic design for a more simple typewriter: the Rofa.